The Lord has blessed ACO with a truly incredible staff. 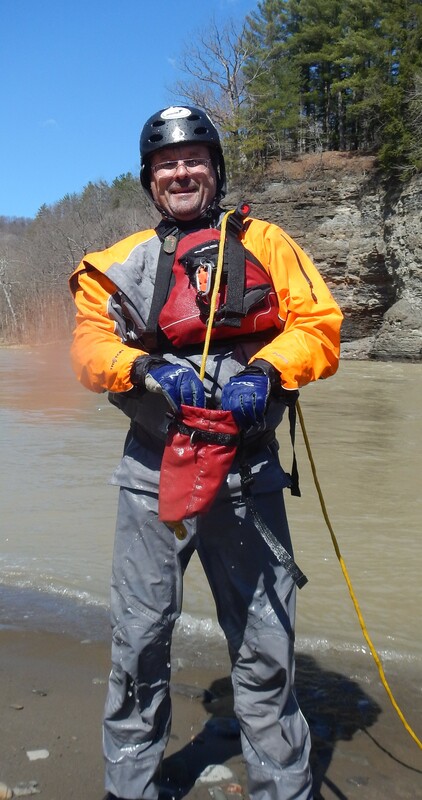 The men and women that have chosen to be part of this organization all enjoy the same common bond of wanting to share the rivers we paddle with you, our guests. They range in age from their late teens to being “seasoned citizens” and come from all walks of life. 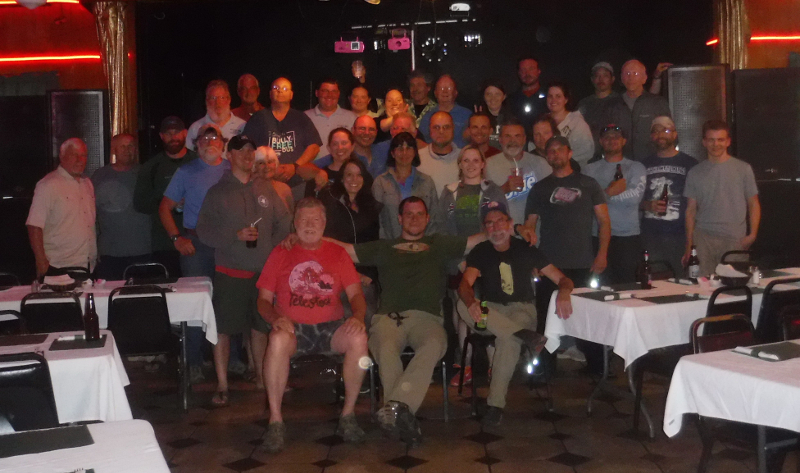 They are some of the most caring, dedicated, and professional raft guides you’ll ever paddle with. All together, our guides have 394 years of river running experience! We are very proud of each and every one and wanted to give you this opportunity to meet them before your next trip with us. What drew you into becoming a raft guide? I love being outside and being active in the outdoors, especially anything on the water. Rafting combines all of these! Every time you go down the river it is different from the last time. And the people. Hidden gem in Western NY to recommend to others? I love being outside—it was as simple as that. Wandering through the trails and woods at Letchworth is enchanting on its own, but getting down in the valley and looking at the gorge from the bottom up is magical. We have the best views in the park! The excitement the gorge brings to our guests is a huge highlight for me. We meet people from all over the world, and we get to share a common passion on the water. It’s pure bliss to see children and adults fall in love with nature, and with the beauty of Western New York. It’s also exciting to watch people step out of their comfort zones and try something new. There is a whole world out there waiting to be explored! We live in a playground! I can’t say one experience was more epic than another because they have all been so amazing. 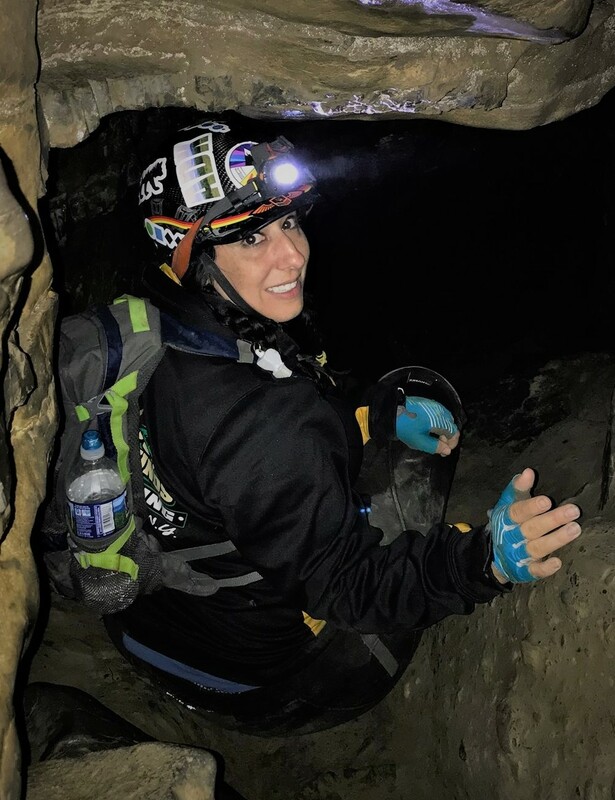 My first time caving is pretty high up on the list, and then there are many incredible kayaking, climbing, hiking, mountain biking, rafting and skiing experiences that will stay with me forever. I love being outdoors, and I am grateful to live in an area where so much adventure is accessible. There are so many hidden gems in Western New York—from lakes, hiking/biking trails, state lands, rivers, and parks, we have the opportunity for adventure all year around. I would recommend Hemlock Lake for a beautiful and relaxing day in your kayak, or Rock City for a fun day of exploring! I wanted to be involved with what my dad was doing and loved being outdoors. Genesee County Park – there are lots of nice hiking trails and it’s a great place to take our dog. Invitation by guides, since I had river experience years before I accepted the invitation. Sharing with customers a safe, great time. Besides rafting, skiing in Colorado. Zoar Valley. Some old-growth trees and home of one of the largest wild grape vines in the USA. I can't think of a better way to spend so much time on the water. Teaching people about rafting, especially those that have never gone before and are apprehensive. Watching their transformation from being afraid to really enjoying themselves is the best. Hands down so far, taking two of my sons on a five-day wilderness camping trip in the Adirondacks. Buckhorn Island State Park on Grand Island - the hiking/cross-country skiing trails are amazing, especially being able to make your way out to the Niagara River just above the falls. I came as a guest and fell in love with it. The whitewater on the river and the family atmosphere within ACO. I took a road trip to S. Dakota and tent-camped all the way out and back. I saw so many beautiful things as I traveled. Webster Park - there are lots of great hiking trails and the sunsets are beautiful. 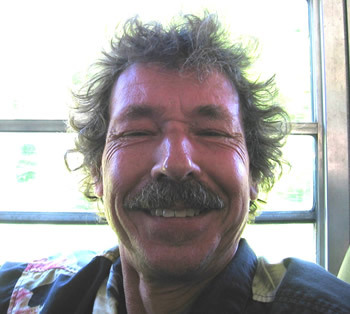 Sadly, following a courageous battle with cancer, Chuck passed away in the fall of 2016. He will be missed by many however his legacy will live on forever in the hearts of all whose lives he touched over the years. The adventure, being outdoors & interacting with people. The endless variety of people I meet and experiences to enjoy. I had an out-of-boat experience (i.e. 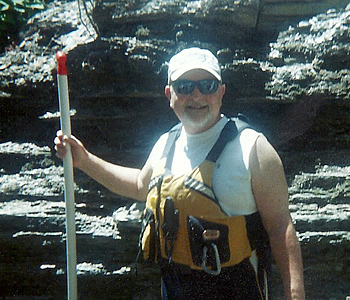 - a flipped raft) while on the Lower New in WV., which led to a great deal of celebrating life! The bike paths through Clarence, Newstead, and Akron are very scenic and pleasant. Adventure, adrenaline, and the opportunity to give the best version of myself to others. I get to utilize my strengths, meet new people, and do my part to help provide amazing experiences for those who go out with us. 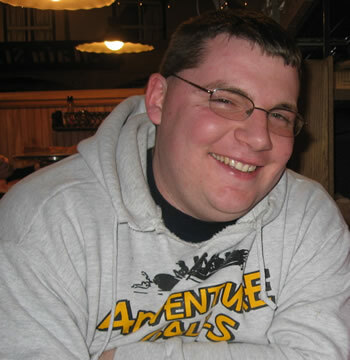 Dan passed away unexpectedly of a heart attack in early August of 2018. 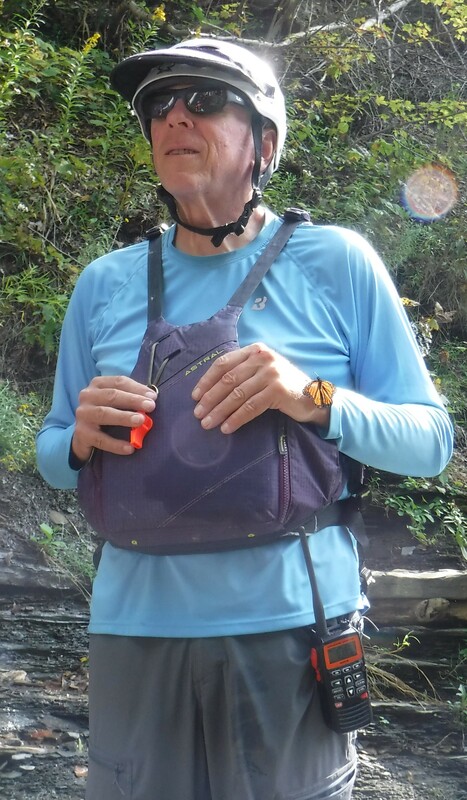 He was one of the elder statesmen in the rafting world, having worked as a guide initially for ARO, and then ACO & ZVC since the late 1970's. His friendship and mentorship to so many of us will be remembered always. I enjoyed being outdoors on the water as much as possible and to be paid for it was an added bonus. Introducing others to experiencing the joy of paddling and showing them the beauty of the local waterways. Canoe camping down the west branch of the Susquehanna River with some close friends. The cross country ski trails at Allegany State Park, they are incredibly serene. I needed some extra cash, wanted more time outdoors and love being in, on, or around the water. The solution seemed obvious. The scenery - no matter what the day brings I need only look around to realize how lucky I am. 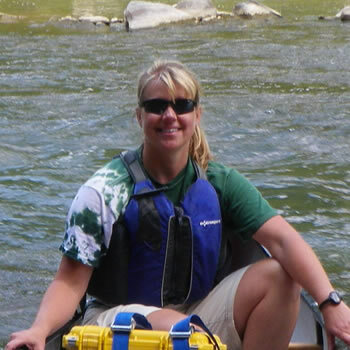 I once co-led a group of at-risk boys on a 30 day canoe trip down the Suwanee River. We paddled from the very start in Georgia, through Florida and into the Gulf of Mexico. The trip in of itself was amazing, but the way the whole experience transformed the boys in such a positive way is what really made it memorable. It is a great way to spend time outdoors. The time on the water and the time with guests. A solo 3 night wilderness camping trip. The Wiscoy Creek near Rossburg , NY near the Wiscoy Creek Lodge. I’ve always enjoyed being in the outdoors especially around streams and rivers. 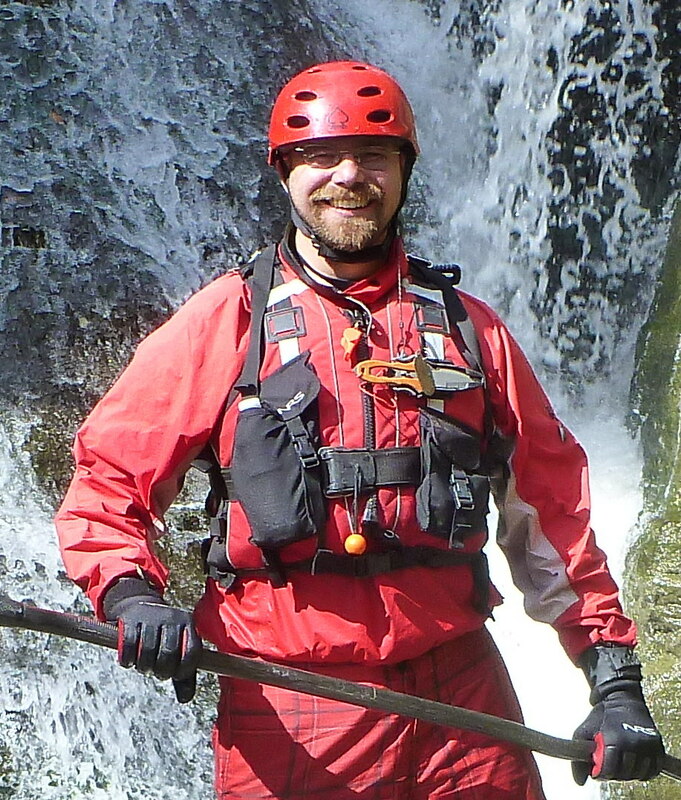 Having been a guest in 2009, when I was given the opportunity to change careers, Raft Guiding with Adventure Calls Outfitters was the first thing that popped into my head. I love seeing the smiles on our guest’s faces and hearing the laughter (and screams!) as we go down the river. 1) Riding horses and fly fishing with my wife in the Rocky Mountains of Montana. 2) Kayaking fishing offshore Cape Cod with whales surfacing close by. Kayaking Canadice Lake at dawn, the water like a mirror, not another soul in sight. 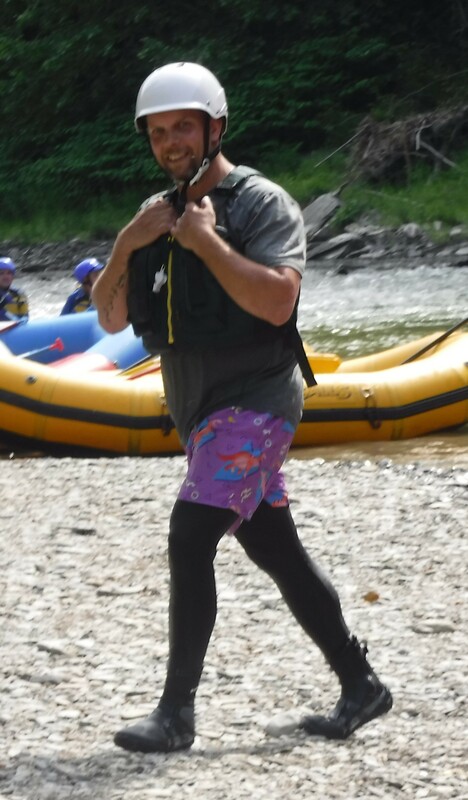 I really enjoyed rafting and was looking for a part-time job at the time. 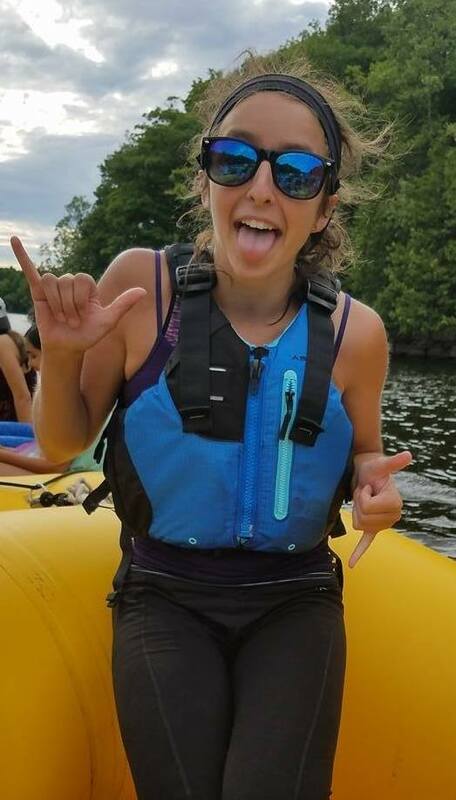 Showing people a fun, safe time on the river! Rescuing a raft that was stuck in the hole at 'Grand Finale' Rapids on Cattaraugus Creek. Hi Tor Wildlife Management Area, specifically Conklin's and Clark's Gulleys. The fact that I could be doing something fun all summer as a career. I get to spend my days outside with great people, guests and guides included, and have new experiences daily. Not one day on the river is the same. 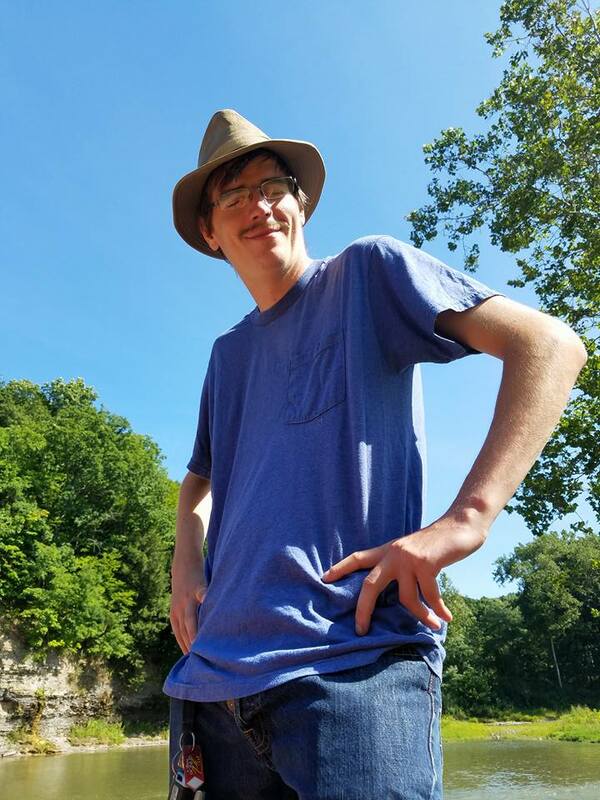 I enjoy meeting new people and watching the guests experience the river, usually for the first time. Even though the river changes everyday, guides get used to the sights and sounds of the gorge. Guests do not so it’s always interesting seeing their excitement and being part of that. Hiking with friends near Lake Placid has to be my most memorable outdoor experience so far. It was my freshman year and first time experiencing the Adirondacks as an “adult.” We went hiking on a whim up a small mountain and were technically trespassing since the trail was only open on weekends to the public, but it felt so freeing to be up so high and not caring about anything below us. I came on a trip as a guest while visiting Letchworth State Park and instantly fell in love how beautiful the park is and how awesome the guides are. I love meeting new people and sharing what I love with them. I also love working with such knowledgeable and friendly people. Swimming in the Caribbean Sea with the ancient Mayan City of Tulum in the background. I wanted to go out of my comfort zone and try something new. My ACO family and seeing the smiles on the guests faces after a trip. Rafting on the Black River with my fellow raft guides! I knew I wanted a summer job that would keep me outside and active. I have been around water since I was little having grown up on Lake Ontario. I started whitewater rafting in college and thought there would be no better way to spend my summer. 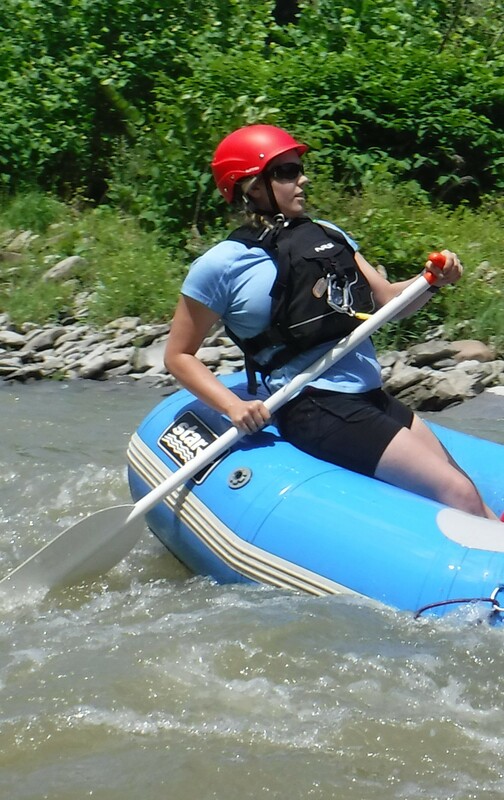 The chance to go rafting and enjoy the summer weather. Allegheny Reservoir. My favorite wakeboarding spot. 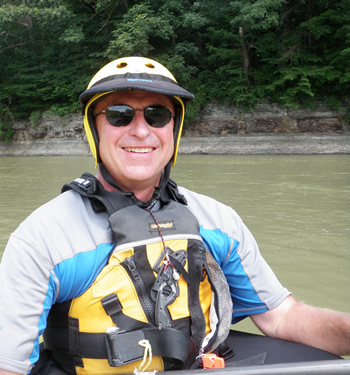 I would have to say it was the opportunity to spend more time on the river with a group of safety-conscious people. Seeing a client have an aha moment when they realize the magnitude of the canyons through Zoar Valley. Backpacking in the Grand Tetons during a thunderstorm. I was focused on the trail immediately in front of me due to the conditions. I looked up at one point and stopped dead when I saw a moose calf standing in the trail about 25 feet away. It was great, until the mom came crashing out of the thicket and placed herself between me and the calf. The beauty and freedom found on the river and the opportunity to share the experience with others. 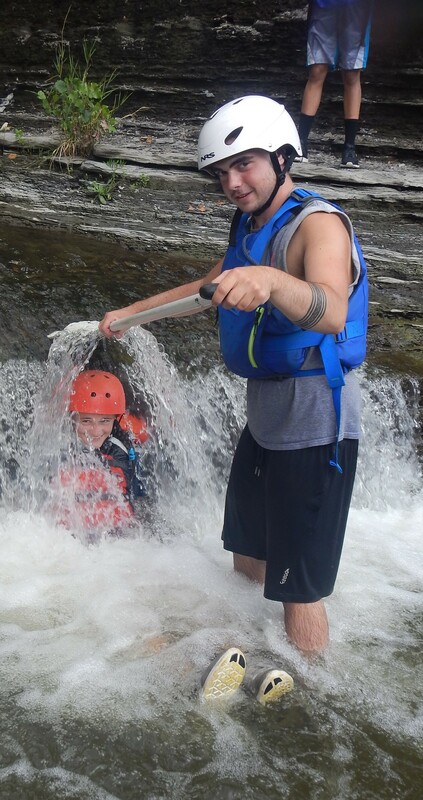 I truly enjoy interacting with new people and seeing the enjoyment on their faces, whether it be from the thrill of the rapids or the profound peace floating through the calm sections. 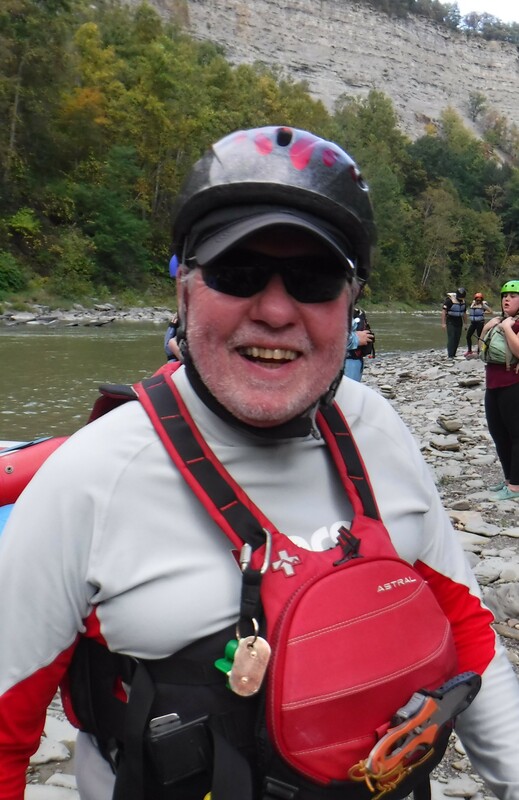 I have two - a guide-only raft trip on the Genesee at very high water, we did the entire 5 1/2 miles in 19 minutes and witnessing 11 people being baptized on a river trip at Letchworth, one of whom was my husband. The Eternal Flame in Chestnut Ridge Park. I saw an ad in the paper and it sounded like fun. Interacting with & teasing the guests, watching them having so much fun! 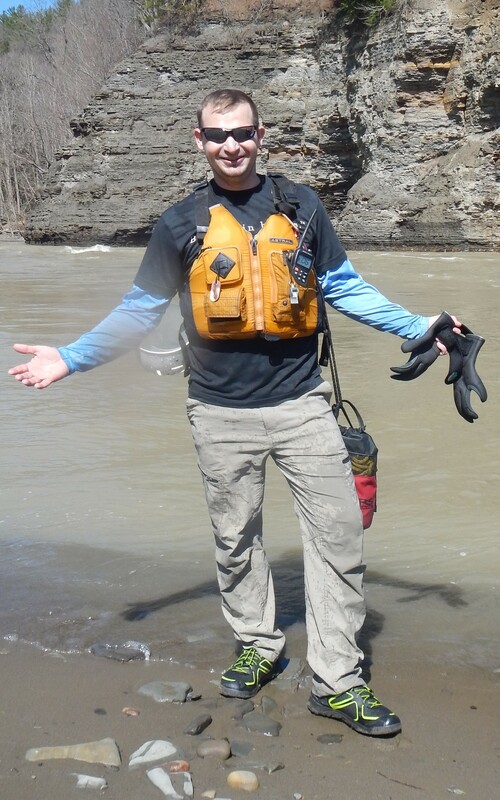 The day I got to guide a raft at Letchworth in big water. I always bring spare clothes w/ me just in case, except I forgot them this particular day. Almost any of the State or County Parks in this area. There are so many close by, people should take advantage of them. A few years back, my family and I took a trip down the river with Adventure Calls Outfitters and I became instantly hooked to the experience. 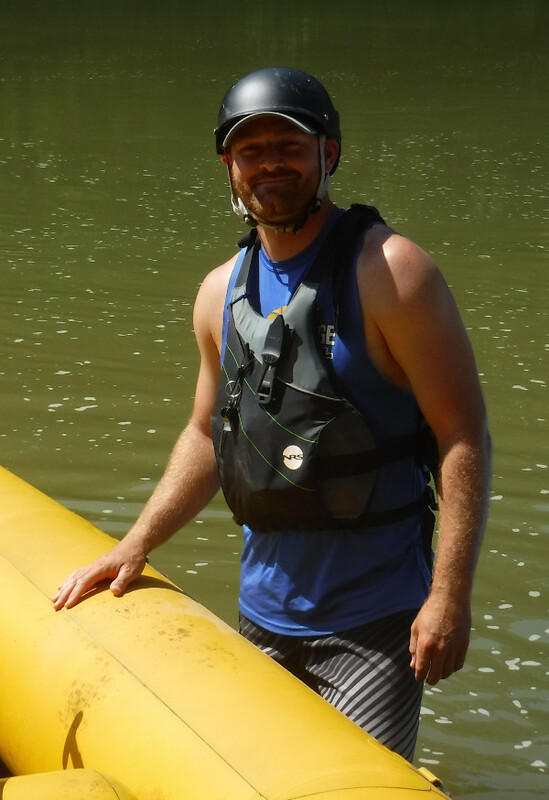 Being a teacher, I thought that becoming a raft guide would be an awesome summer gig. Turns out I was right on with that thought. My answer is twofold. First, the people. The people I work with and the customers I provide a service for. 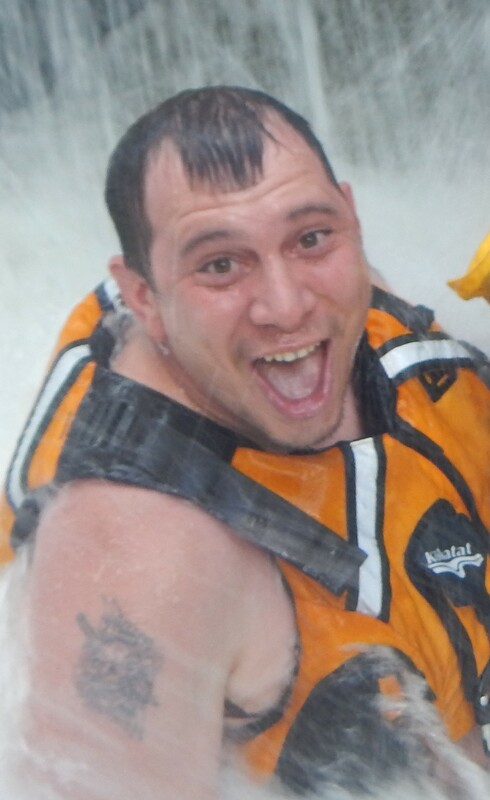 Secondly, the challenge of consistently having great runs down the river and always striving to satisfy the customers. I once road my bicycle from Seattle to Denver via the Pacific Coast and across some desert lands. Genesee County Park in East Bethany, New York. Great hiking trails and serenity. 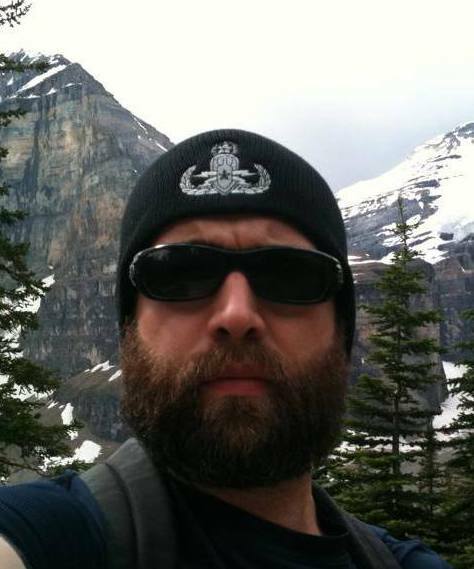 I started as a guest on a trip in Letchworth a few years ago. Several trips on all three rivers and countless conversations with guides later, I realized I wanted to be a part of this awesome family. The people and being out in nature. Two week canoe trip through the boundry waters between Minnesota and Canada. The people I work with!! You will never have a bad day when you work with some of the most awesome, honest and reliable people on the planet. Interacting with the guests, seeing all the smiles on their faces after the first set of rapids. Jumping off a 20' high rock into the river when our Church Youth Group went rafting in Tennessee several years ago. Walking along the Erie Canal foot/bike paths. It's very pretty and quiet. 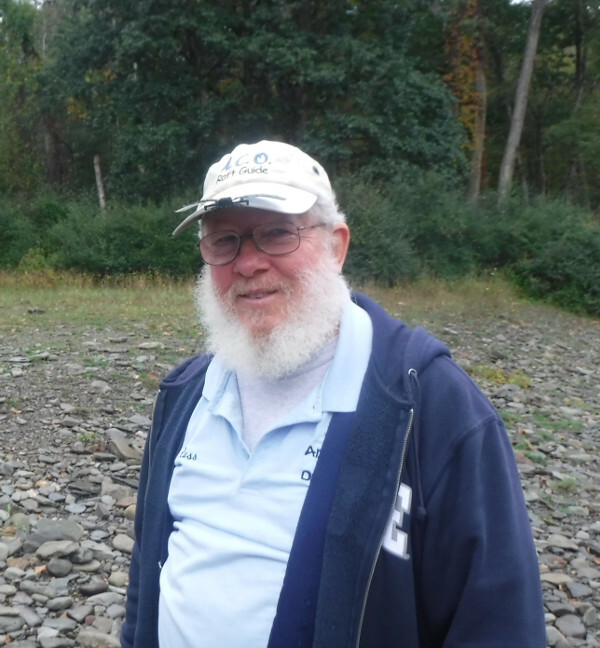 I was friends w/ Jim Redline and he asked me to help him out when he started Zoar Valley Canoe & Raft. 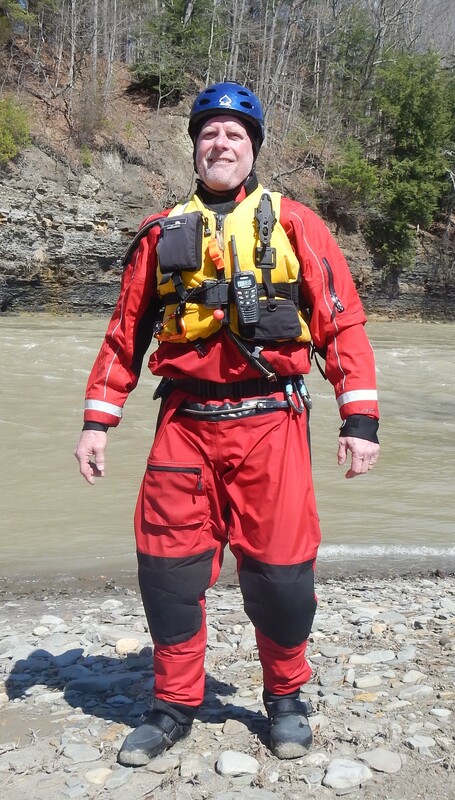 Being on the water and the challenge of running every single trip down the river as safely as possible. A canoe trip on the Bloodvein River in Manitoba, CA. It is an absolutely beautiful river. Deerlick Nature Preserve - it's an incredible hiking area along the South branch of the Cattaraugus Creek. 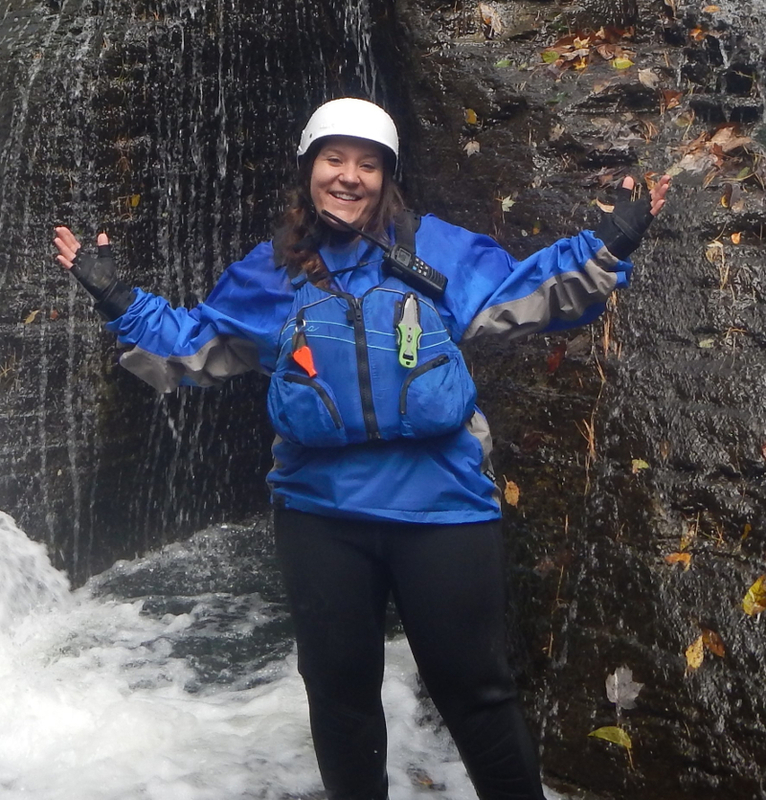 After being a flatwater kayaker for years, I decided to give whitewater rafting a try and I was hooked! 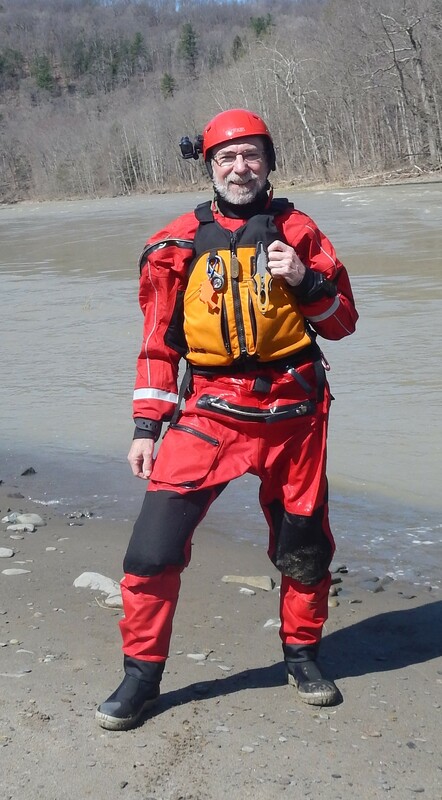 My raft guide that day was Todd Smith, and once he told me ACO was hiring and would train me, the rest came natural. Watching the expressions of awe on the faces of inner city youth who haven’t had much exposure to nature as they raft down the Genesee river. When they see a bald eagle in flight for the first time up close, it’s just like my first time all over again and we get to experience it together. A close second is the camaraderie that is shared amongst the ACO Staff. Hiking up Croagh Patrick (Ireland’s Pilgrimage Mountain) located in County Mayo, Ireland with my wife and friends. The fog was so thick that we couldn’t see more than a few feet in front of us and we had to do some rock scrambling to get to the summit but it was worth it. The bowl of soup and a pint that we enjoyed in the Pub conveniently located near the trail-head at the base was a nice touch too! 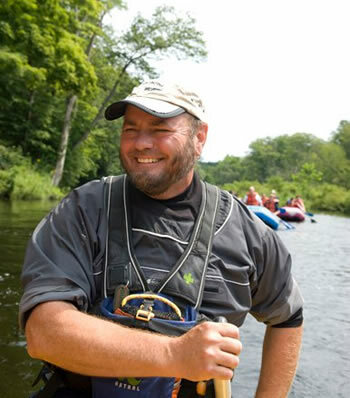 A paddle trip during the Autumn months down Oak Orchard River North of Medina, NY. The changing colors of the leaves and the wildlife will make you forget all about the cooler temperatures. The fun and adventure, plus it is way better than a summer part-time job mowing grass. Taking people down the river that never ever thought they'd be able to do it. Seeing the fog over the gorge at Letchworth State Park in the early morning. It is such an inspiring sight. The South end of Letchworth State Park. It's amazing how many people, especially from the Rochester area, never venture past the North end of the park. I organized a raft trip of ski bum friends w/ a Canadian River Outfitter and fell in love with the sport. Years later I wanted to go again and found ACO on the internet, saw they were hiring, and decided to take a shot at being a guide. Hands down, the adrenaline rush. I'm an adrenaline junkie, just ask my friends. Umm.....can I pick two? 1.) Backpacking with my sister and one of my dogs in Allegheny National Forest. The weekend was totally amazing, can't wait to go again. 2.) Skiing in the Swiss Alps. An unbelievable experience. Ask me about either one and I'll talk your ear off. I became hooked as a customer. Guiding the raft through white water is a respectful way to tap into energy at its most visible state. Taking a family of first-timers from fear to exhilaration as a team, going for the gusto and laughing as we hit a hole full-on. 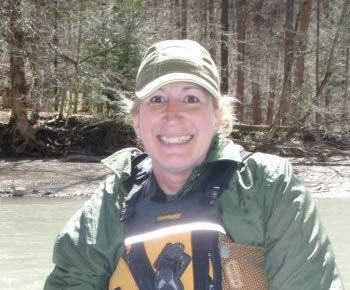 Turtling a certain blonde guide in 'Cruncher' Rapids on the Cattaraugus. The confluence in Zoar Valley. It's where the South branch of the Cattaraugus meets the main channel, pretty spectacular. I love being outdoors and enjoy sharing the outdoor experience with other people. Where else can you get paid to run whitewater, get a workout and have fun with new and interesting people every trip? Whether fishing, kayaking or running whitewater, I find a certain cathartic quality to being present on rivers and streams. I also love that I have a fresh audience for my jokes with every run down the river. Hiking the Great Range Traverse in the Adirondack High Peaks as a day hike. My favorite place in WNY is Chestnut Ridge Park and the Eternal Flame. A close second is Little Rock City in Little Valley, NY. I've always loved being outdoors, so when I saw the opportunity in the Girl Scout program guide, I had to take my scouts. It was my first year as a leader and I had 4 cadettes. We did the rafting and camping weekend program. I instantly fell in love with the romance of Letchworth and the excitement of white water. I knew I had to become a guide. I came back every year as a guest after that. It took me almost 4 years to work up the nerve to apply, but I'm so glad I did, it's One of the best decisions of my life. 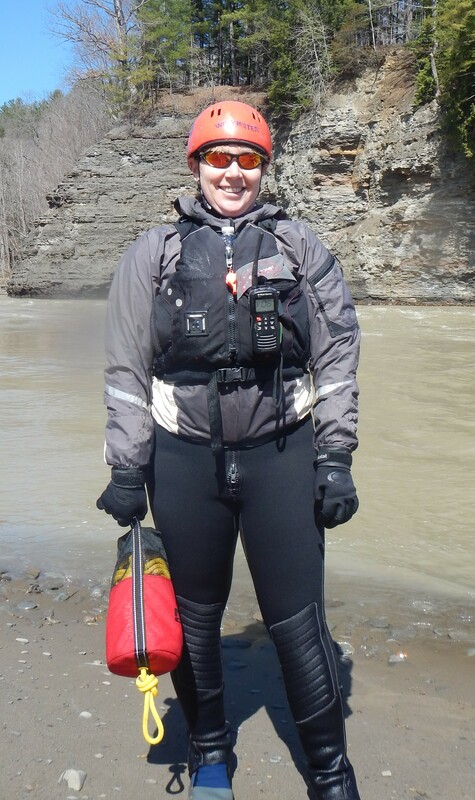 Being a raft guide allows me to share my love and knowledge of the outdoors and geology with lots of new people. I truly love Letchworth for all its wonders and beauty. No two trips down the river are ever the same. Plus, It never feels like work, which makes it the best job I'll ever have! One of my favorite spots to go is the Homestead bridge in Tonawanda. I can drive, walk or ride my bike there, and launch or rent a kayak rain or shine. 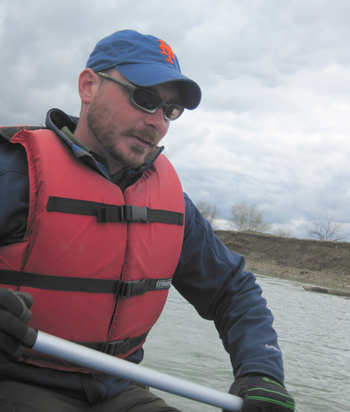 From there I can take a leisure paddle up Tonawanda Creek to the Dog Park Island, or down the Erie Canal to do a little history tour, and if I'm really motivated I can even paddle out to Niawanda Park on the Niagara River. Or I can just sit on the bridge and watch the bustling Gateway Harbor. There's always something going on. Weekly concerts, art and food festivals and even fishing tournaments. 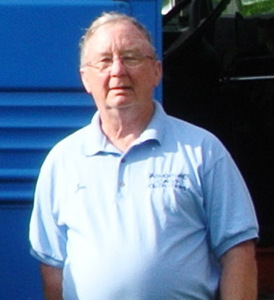 I love driving bus and was given the opportunity to do so. The camaraderie among the staff and working at Letchworth State Park. Panama Rocks, it’s a great place to explore. Additional time to be with my wife! People having a memorable time. Going out to Zion, Bryce and upper Grand Canyon. 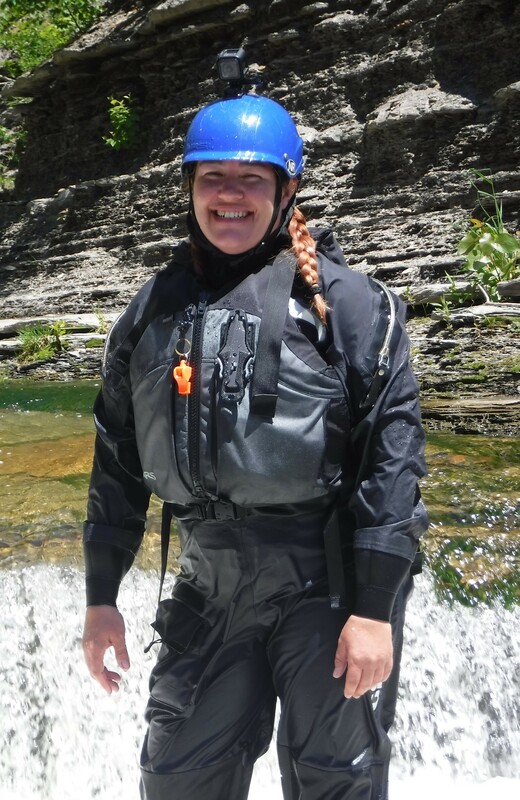 I loved rafting as a guest and decided to take the next step. The camaraderie amongst the staff and showing the guests a great time on the river. I have two. 1.) Hiking up the back side of Halfdome in Yosemite National Park. 2.) Participating in the 'Face of America' Memorial Bike Ride in 2002 from Ground Zero to the Pentagon. That humbling event will stay with me the rest of my life. Zoar Valley. It is an incredible place. A conversation with Kevin presented a post retirement challenge of learning to drive a bus, getting my CDL, and driving bus for ACO. It is totally different from my career and a job that is fun to do. While I haven’t actually done much driving yet, the best part of the job so far is the happy rafters after their trip down the river. 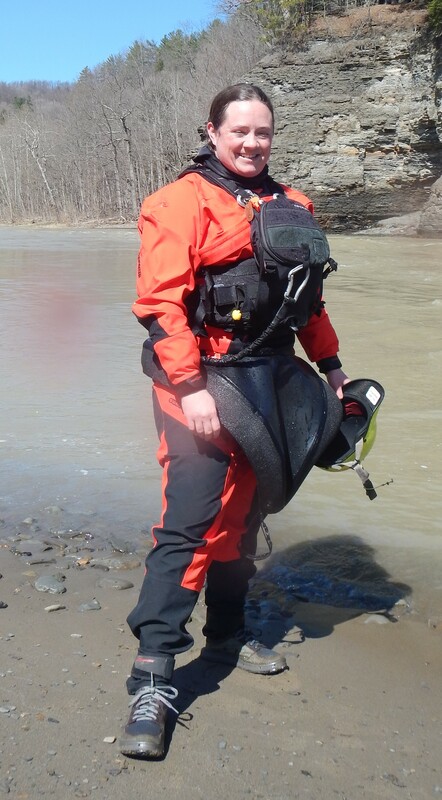 Over the years I’ve had a lot of outdoor experiences; family vacations camping, life on the farm and my first river rafting trip when I was young, where I lost my glasses & hat as I was knocked out of the raft in a double hydraulic. Well if I have to narrow it down to one gem I would have to say the state parks. From Niagara Falls to Watkins Glenn, Hamlin Beach to Allegany State Park but of course Letchworth with its canyon is at the top of the list. The opportunity! 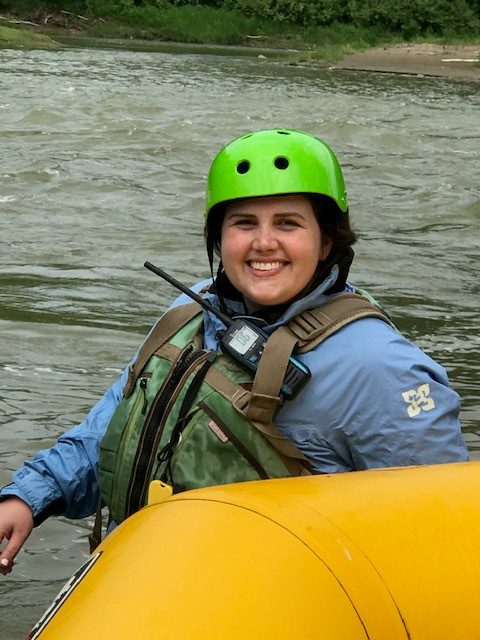 I had been rafting with Adventure Calls for over ten years as a customer, and I jumped on the chance to be a part of the team. 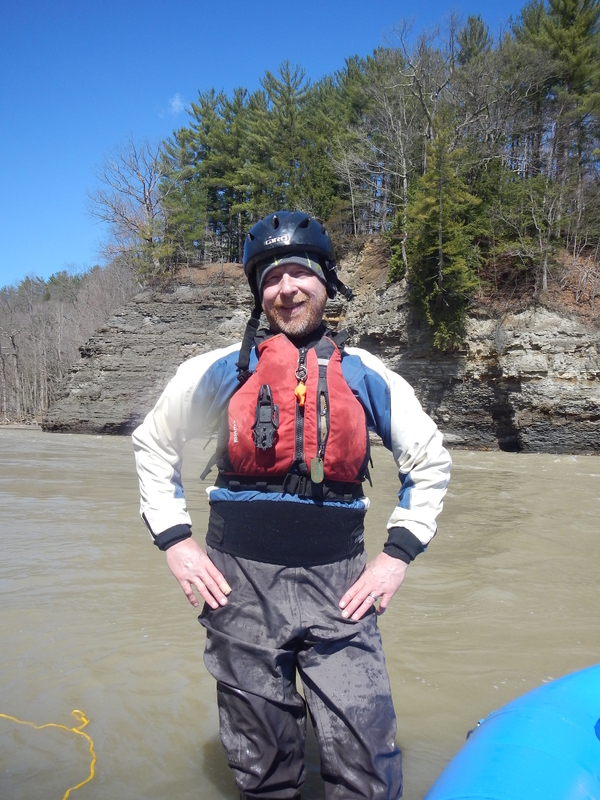 Every trip is different, and every day is different on the river, not only do I get to see the beauty that is Letchworth park, but I also get to enjoy the wildlife that calls this place home. I could never pick just one out of the multitude of wilderness outings I have been on, every experience has its own epic place in my memory, but I have recently discovered caving, and I’m excited for a completely new form of outdoor exploration and adventure. Carlton Hill multiple use area....a great place for anything from trail runs to mountain biking, to horseback riding and hunting, a truly beautiful place that I am grateful to have so near. I love adventures in the outdoors. Sharing the rafting experience with others. Rafting on the Colorado River through the Grand Canyon. The gorges at Letchworth State Park, Watkins Glen State Park, and Chautauqua State Forest. Wanting to be on the water / in the wilderness. Taking people outdoors and teaching them about what we find as we're going down the river. 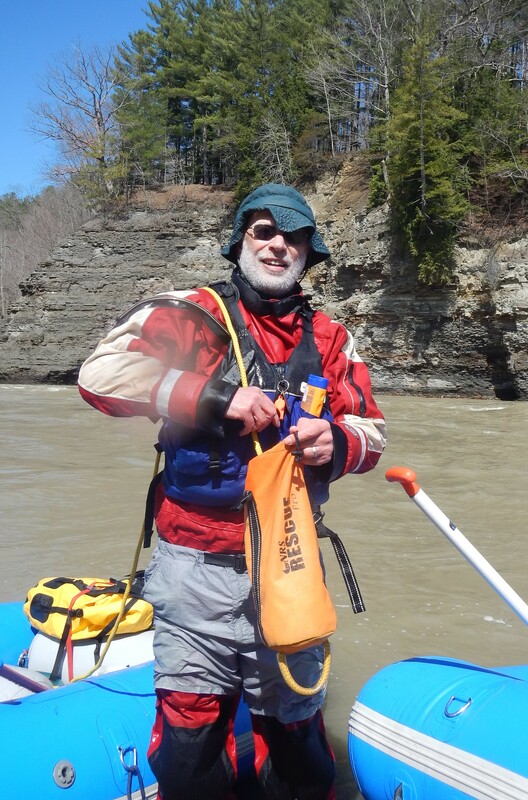 The Buffalo River - paddling along it in a canoe or kayak is the best way to see things you wouldn't otherwise. The views of the grain elevators are incredible. 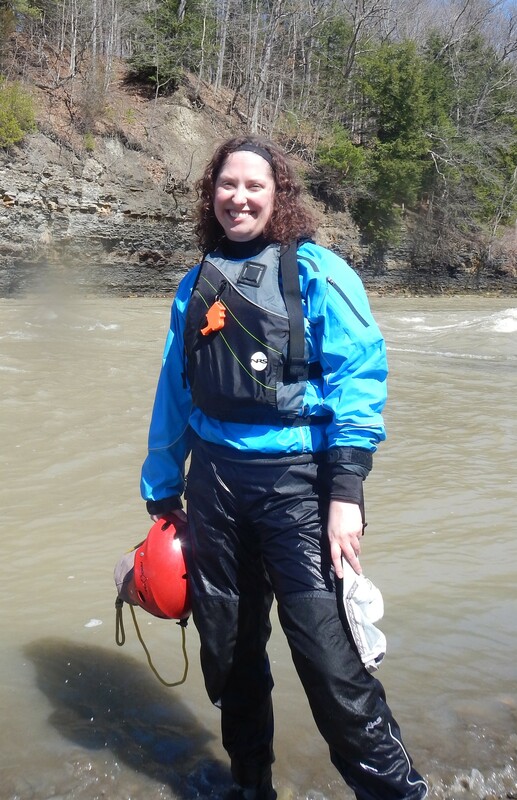 My love of Letchworth State Park & the Genesee River. Watching people enjoy nature and seeing the smiles on their faces, especially the children. 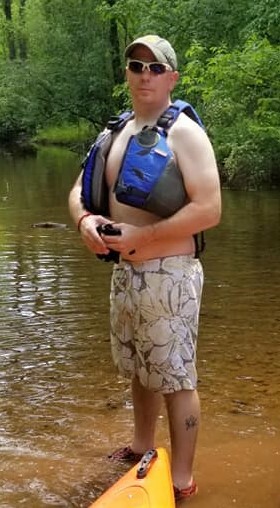 Getting thrown from a raft I was guiding after it hit a rock. I found shortly thereafter the raft was making a strange hissing sound. Emery Park in South Wales, NY. It is still very rustic and quite beautiful. I've always loved the water and paddling so I had to jump at the opportunity to guide. Being surrounded by the outdoors and interacting with people from all walks of life. Hiking with a friend in Missouri and getting trapped by a flash flood. Needless to say we had to do some swift water stream crossing to get out. I love being on the water, the adrenaline rush that comes with the thrills. I love interacting with the guests and the camaraderie with the other guides. 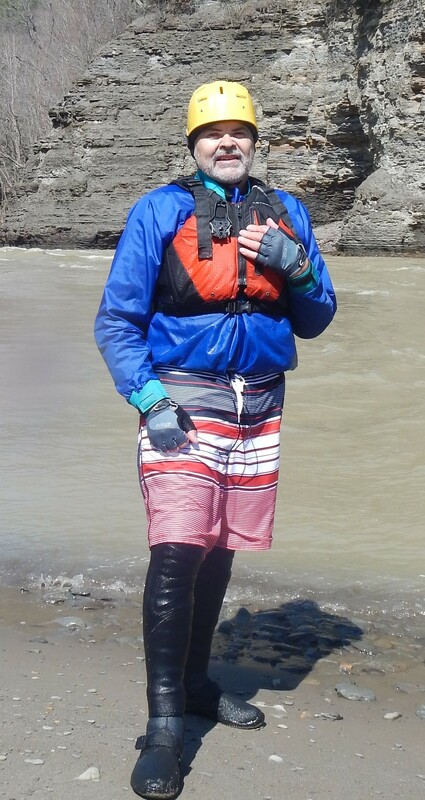 I guess most memorable moment in the outdoors was bringing my Mom and her best friend rafting after her battle with lung cancer and introducing her to all of my new friends. Akron Park - it's a beautiful place, especially the waterfalls in winter. I enjoy being on the water. Sharing the outdoor experience with the guests. There's too many to choose just one. My backyard in the rolling hills of Wyoming County!